This is the Space Age and we are here to go. This statement meant far more to Burroughs than a convention slogan. "Here to go" represents an answer he and collaborator Brion Gysin came up with in response to the perennial question, " why are we here?" "We are here to go," they offered. Though he said this at a time when the possibility of migration into outer space looked like it was taking off in a real way, accompanied with much enthusiasm and optimism, I suspect it was meant in all ways, inner space as well as outer, and where the two meet. One need not wait for a rocketship to take us to the stars to appreciate that this is the Space Age and We are Here to Go. The idea that we are here to go, that life energetically remains constantly in flux, agrees with contemporary magick theory, Chinese religion, and scientific theories of relativity and quantum physics. James Joyce's opening sentence in Finnegans Wake also synchs with the 'here to go' theme. No woman ever steps in the same river twice, for it's not the same river and she's not the same woman. The Tao, the highest principle in one branch of Chinese philosophy, translates as The Way. According to Richard Wilhelm in The Secret of the Golden Flower, A Chinese Book of Life, the character for Tao in its original form consisted of a head followed by another character for going. Note! Function. For now we see why Tao may also be translated " The Way"; for it is the motion of the structure we observe. There is no Being apart from Going." Crowley then brings up the Four Powers of the Sphinx: To Know, to Dare, to Will, and to Keep Silence which correspond with the Four Elements of the ancient Greeks: Air, Fire, Water, Earth. He then says that because a fifth Element, that of Spirit is now recognized, he "deems it proper" to add a Fifth Power: to Go. Then, as Spirit is the Origin, the Essence, and the Sum of the other four, so is to Go in relation to those powers. And to Go is the very meaning of the name God, as elsewhere shewn in these letters; hence the Egyptian Gods were signified as such by their bearing the Ankh, which is a Sandal-strap, and in its form the Crux Ansata, the Rosy Cross, the means whereby we demonstrate the Godhead of our Nature. At this point I should say this this line of enquiry was partly inspired by a blog posted by Michael Johnson on his Overweening Generalist site. As I understood it, Johnson raised the question based on science telling us the Universe consists mostly of empty space, then why does much of it register as solid to us? I had just finished reading Cosmology by Buckminster Fuller. He claims to know why, gives a pretty convincing answer and demonstrates the answer with a model. Somehow reading the OG blog got me connecting it with Burroughs, Crowley and Here To Go. Fuller's answer has to do with speed and frequency. He uses the example of a rotating propeller blade. When spinning fast, it appears as completely solid. You couldn't put your hand through it, and if you threw a ball in its direction, it would bounce off. This rapid movement apparently occurs atomically and subatomically. In a solid object atoms are as relatively distant from each other as the planets in the solar system but move so fast as to appear completely solid to us slower creatures. I don't know how accurate the science works out to, but he makes a convincing argument. The reason I bring all this up is to present the supposition that higher states of consciousness begin to directly apprehend the subatomic world. Consciousness eventually learns to function and operate in realms explained to us by quantum physics. Enlightening Consciousness also start to see how quantum physics affects everyday life. The manipulation of energies in a ritual of magick and the subsequent result might find its best explanation in quantum physics. When Consciousness starts receiving more signal, it speeds up ... or, it has the feeling of speeding up. If gone about in a gradual manner this phenomena can be hardly noticeable. This speeding up of consciousness seems to occur as a tuning in to the vibratory nature of the molecular, atomic, and subatomic worlds. As consciousness expands we begin to become experientially aware of realities beyond the consensual one of appearance. Returning to the model from the Doors of Perception by Aldous Huxley which says that the vast majority of electro-magnetic signals we could potentially receive gets blocked and filtered out by the human nervous system. These filters can open and become unblocked to let more signal through. Usually temporary, sometimes permanent. One aspect of the full realization of the Knowledge and Conversation of the Holy Guardian seems to be a complete and permanent removal of these filters - what G.I. Gurdjieff called "buffers." In Changing My Mind Among Others, Timothy Leary says that one main reason for meditation, doing yoga, eating right, etc. is to prepare the nervous system for the increase in signal from expanded states of consciousness. Training of the attention, the ability to focus, also becomes more crucial as signal flow accelerates. This applies as equally to high states of meditation and ritual work as it does to working in a recording studio with intense musicians, etc. Raising of consciousness happens all the time (well I do live in California!) not just in special exercises and practices. Mostly, these moments of waking up seem brief, and go unnoticed. The last time I saw Timothy Leary was at a club in New York called Wetlands. He seemed his usual, jovial, optimistic, enlightened self, if a little more thoughtful and slower to respond. A brief but poignant moment came when mentioning his daughter Susan's recent suicide. It was interesting and educational to see how such an intrepid voyager dealt with that kind of tremendous pain. He acknowledged the loss without getting sentimental about it, but you could tell it affected him a lot. Then he said something like, 'I see no point in wallowing in grief,' and moved on. As his time drew to a close, Leary went into a short rap telling everyone they should imagine themselves as quarks, the subatomic particles that make up protons and neutrons. "What do quarks do, how do they behave?" he asked rhetorically. He was trying to get people to think in terms of quantum physics and how that awareness might help to successfully navigate this long strange trip we travel through life. Murray Gell-Man coined these building blocks of matter "quarks" after reading the poem "Three quarks for Muster Mark" in Finnegans Wake. This seems quite appropriate because one level of Finnegans Wake which Joyce symbolized in his notebooks as a backwards "E", and what Robert Anton Wilson calls the non-local circuit, illustrates the nature of the quantum Universe. In my opinion, reading Finnegans Wake will start to familiarize consciousness with all the idiosyncrasies and ways of life as a self-directed subatomic particle. Timothy Leary once remarked something to the effect that reading Ulysses and Finnegans Wake makes excellent preparation for observing energy in its raw, vibratory state. Quantum Consciousness, Awareness of Charge and Spin, Meta-physiological receptivity, Self-Definition As Starmaker, as a Radiant, Hi-Velocity Celestial Entity, as Singularity. It's useful to read the whole section on the neuro-atomic circuit in The Game of Life to get more of an idea and feel for quantum awareness. The Schrodinger's Cat Trilogy by Robert Anton Wilson is another highly recommended exploration of consciousness and its relation with quantum physics. This book, more than any other I know, bridges the gap between quantum physics, everyday life, and magick. One even finds there a glossary of models to explain quantum physics at the time of writing. I don't know if any of them have been rejected since the book came out? If so, it would still be very useful to read anyway. Virtual reality engineered in cyberspace seems another excellent way to gain experiential knowledge of these inner spaces. The easiest way to do that is to play a computer video game. People who research these things have discovered that currently the best video game for this is Diablo 2. Quake, Team Fortress is another good one. Playing these video games gives you the direct experience of being 'here to go' in the quantum world. They move fast. They will begin to show you what it's like to voyage in the Macrodimensions of the Labyrinth, as E.J. Gold puts it. This seems a good way of describing metaphysiological awareness. You have the sensation of moving at a greatly accelerated speed through different spaces. Another great one has sprung his mortal coil. 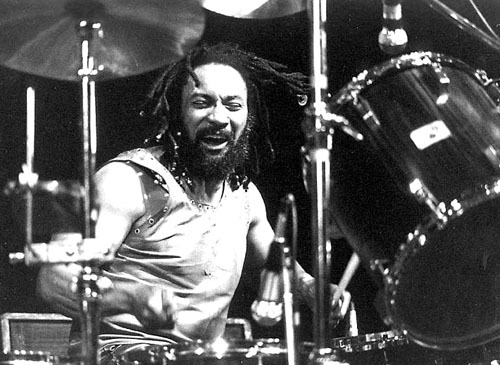 Drummer and composer Ronald Shannon Jackson died two days ago from leukemia at the age of 73. A master musician, considered an innovator of free jazz drumming and harmolodics, Jackson played in groups with Ornette Coleman, Albert Ayler, Cecil Taylor, James "Blood" Ulmer, as well as forming his own band, The Decoding Society. Musician, Player and Listener magazine writers David Breskin and Rafi Zabor called him "the most stately free-jazz drummer in the history of the idiom, a regal and thundering presence." Melodies can alternate from busy, frenetic, multiple themes to simple, lazy, lyrical phrases. They often function as both heads and melodic material to accompany one or more soloist. Sometimes the melodies are diatonic, other times they are bluesy; occasionally they sound "Eastern". Although The Decoding Society is more of a composer's band rather than a vehicle for soloing or drumming, free-blowing solos abound, and Jackson's thunderous playing is heavily featured. I would say his playing was thunderous too... in every meaning of the word. Shannon also became a founding member of Last Exit with Bill Laswell (bass), Sonny Sharrock (guitar), and Peter Brotzmann (sax) which has been described as a free jazz supergroup. I would describe them as one of the most, or the most powerful musical force of the XXth Century. A pillar of raw, unrehearsed sound, guided chaos balancing on the brink of utopia or oblivion. They sometimes sounded like the last exit before full on nuclear annihilation as if creating the experience in sound would negate the need for it to occur on a global scale. Their peak years of musical activity, from the mid to late '80s, coincided with the glasnost movement in Russia leading up to the collapse of the Soviet Union and the tearing down of the Berlin Wall. Jackson joined Laswell on two other classic projects: SLX, with violinist L. Shankar, Senegalese percussionist Aiyb Dieng, and Korean drumming group Samulnori, and the free jazz trio, Mooko, with Japanese saxophonist Akira Sakata. Shannon practiced Buddhism, alchemy, and magick. He seemed quite well versed in various esoteric arts. I had the extreme great fortune to know and work with him - assistant engineer for the recording and mixing of Red Warrior, did live sound for the Decoding Society one time, and traveled with him to India when he accompanied Bill Laswell and I to work with violinist L. Shankar. Though only in contact with him for a brief time, I do consider Shannon a friend whom I hold tremendous respect for. He seemed low key and very refined. Sometimes he appeared to go invisible. Shannon would wear black leather and his skin was very dark causing his appearance to disappear into the shadows of a darkened control room, yet you knew he was there, sharply alert, listening closely to the sound of his music being mixed. And temperate in eating and drinking. The first Shannon Jackson record I helped out on was called Texas, and that's when we met. It was only the second project I ever worked on with Bill Laswell. Robert Musso engineered the mix but Bill did all the automation writing of the faders. It was released by Caravan of Dreams, which released several of Jackson's records in the '80's. Caravan of Dreams was an experimental theatrical collective lead by writer and teacher John Allen/ aka Johnny Dolphin that would later launch the ambitious Biosphere 2 experiment near Fort Worth, Texas - Ronald Shannon Jackson's home town. We didn't hang out much in India, a few meals together - he wasn't with us at the studio sessions. I don't know how he spent his time for the 10 or so days we spent there but he seemed much better for it when we left. Phantom invisible from another world on a expedition of spirit visiting temples, mosques, residences of saints, holymen, and women ringed with children of all ages; street musicians and smiling beggars; riding tuk tuks in and out of labyrinthine backstreets and alleys looking for ancient Vedic India that still exists in deep hidden locations; cooking fires roasting chickens penetrating the blackness of night. I don't know, maybe that's what he did? Flying with him back and forth from Madras, it seemed like Shannon was an essential part of the trip. He had to be there for some reason, I don't know why? 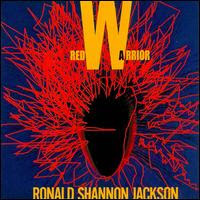 Red Warrior was my favorite Ronald Shannon Jackson album to work on. It was the most epic. I think Bill Laswell had more creative input with this one. It was released on Laswell's Axiom Records label. Red Warrior was mixed by Jason Corsaro immediately after we mixed Middle Passage by Ginger Baker. Two classic drumming based records mixed back to back. I brought in a few of my books, Gems from the Equinox, Magick in Theory and Practice, The Illuminated Books of William Blake, etc. etc. to help create an ambience, and to give Shannon something to look at while the mix was being set up. The last time we spoke, sometime in 1993 or 1994, Shannon mentioned that he wanted me to record his next album because he said he wanted someone who knew about alchemy to do it. I would have loved to have done it but it didn't work out for reasons unknown to me. Much respect to a master musician and an enlightened human being. Mine is the radiance wherein Ptah floateth over his firmament. I tread upon the firmament of Nu! giving my life to the dwellers on Earth. The mood and ambience of ancient Egypt paid a visit to Northern California when Soul Train Lady of Soul Award winners Les Nubians touched down at the Kanaga System Krush media center and farm. They had either just finished or were taking a break from a short tour, and being in the neighborhood, and friends with them, Aja Salvatore invited them to his place for a few days to get some r & r &;r - rest, relaxation, and recording. Fortunately, I was called in to engineer. The core of Les Nubians are sisters Hélène and Célia Faussart. They grew up in Paris, and Central Africa ( Chad) and started performing a capella in Paris and Bordeaux, France in 1993. They were joined by part of their Nu Revolution Band, Queen Aaminah (vocals), Shaun Kelly (drums), Fred Doumbe (bass), John Roggie (keys) Masahiro Shimizu (guitar). 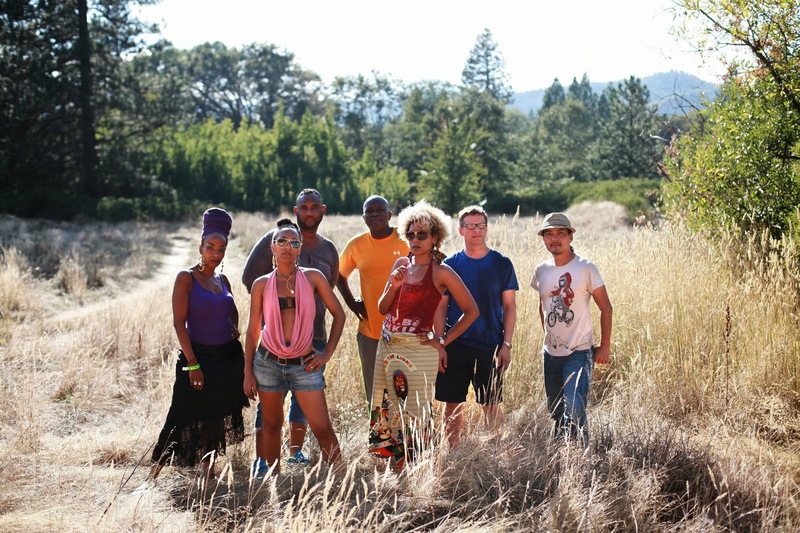 Their music has been described as neo-soul, hip hop, and African. Neo, as in The Matrix, in my opinion after working with them. They sing a lot in French. 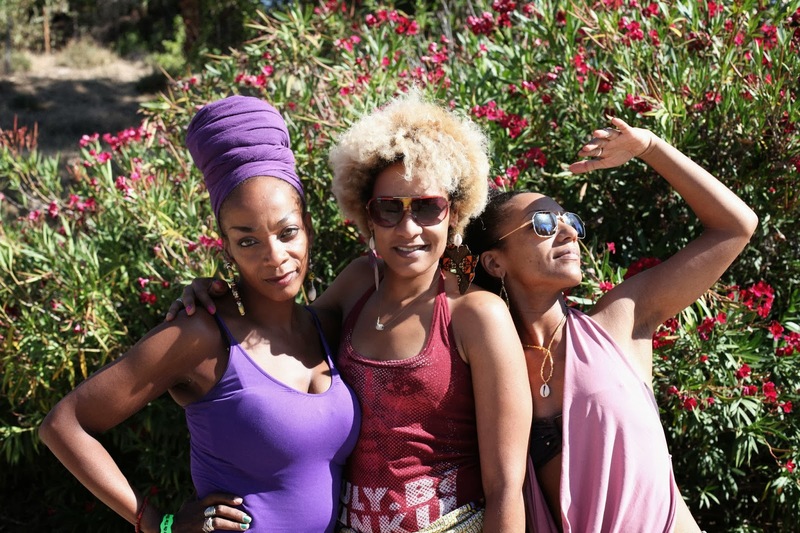 Les Nubians were playing dates to support their last release, Nü Revolution, which seems more than a song or album title, but rather a movement in the (re) launching. It looked clear to me, and you can tell by listening, that they intend the puns, Les Nubians Revolution, and New Revolution in Nü Revolution, but I don't know if they knew the Crowley connection. Come forth, o children under the stars, & take your fill of love! A child actually does come forth at the end of the track reciting poetry about that subject. In the background an all-you-need-is love-type chorus, but different, starts up. Looked at through the lens of contemporary Hermetic Magick, Nü Revolution seems a text book rendition of Do what thou wilt shall be the whole of the Law. Love is the Law, love under will only with great cascading vocals and African beats. 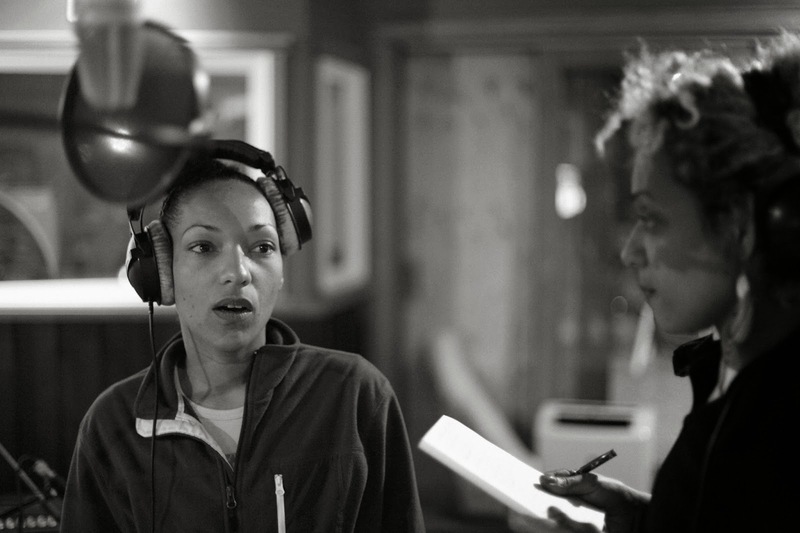 At the KSK studio, on their mini working holiday, Les Nubian's intention was to record a more organic, world beat alternate version of Nü Revolution. The released version has a very commercial sound, the beat sounds a little machine-like, quite possibly it was programmed, I don't know, but it does have that sense of strict adherence to click track time, locked stock and barrel to the grid one might say. It still sounds good, but I was glad to go for an alternate version more performance based. We started by having the band play live - percussion (dun dun), bass, guitar, keys and vocal - using the drum and vocal tracks from the original version of Nü Revolution as a guide. Overdubs went on top of that basic track. Almost everything was recorded in one or two takes, very live and spontaneous feeling. 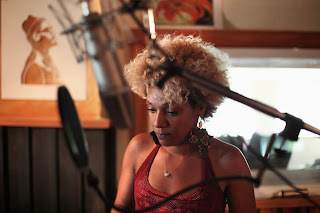 Naturally, since they are a singing group, there was a lot of vocal overdubs and arranging. But it went very fast, they knew exactly what they wanted or figured it out quickly on the spot. Hélène was the one mostly wearing the Producer's hat, steering the ship as it were. She is very focused, has an excellent ear, knows what she's looking for and can communicate it. Intense, but in a relaxed way, if that makes any sense. In other words, a true professional, my ideal kind of producer to work with. It becomes a musical journey, a shamanic passage, when you start with nothing but an idea and see it evolve, by group effort, into a powerful song. Nü Revolution is, in my opinion, as powerfully a world changing song as anything that John Lennon ever wrote. It actually seems like a little bit of the spirit of Mr. Lennon went into Nü Revolution. The version we recorded isn't mixed. I don't know its status but am hoping it will see the light of day. In another part of the KSK facility editing was being done to the Mali music documentary. An assistant had been hired to do some research. He was asked to shoot some footage of Les Nubians in action but objected saying that it wasn't in his job description. This wasn't received very well, but I reckoned it just as well. If he couldn't see the once-in-a-lifetime opportunity to experience this unique combo of musicians, literally from all over the world, guided by strong women with roots in Africa and France, then it seems fortunate that he stay out of that space. It did feel like a very strong space, a musical voyaging chamber. Treading upon the firmament of Nu. Creating a Nü Revolution. The three ladies had a vibe of ancient Egypt meets the future. It wasn't overt or in the least bit pretentious. Told them I was very interested in ancient Egypt and got a couple of knowing smiles. Nothing else was ever discussed about it. After the first day of recording I felt incredibly high ... naturally, although that's the first time nature ever gave me a project like that to record. Much gratitude to all who made it possible. Since beginning this Demystifying Crowley series other efforts along similar lines have been brought to my attention. First of all, many thanks to fellow blogger Dedroidify for publishing an unknown to me article by Robert Anton Wilson on the Qabala, which he spells Cabala. To the Cabalist, the whole universe is a network of meaningful connections. The seemingly coincidental is as full of meaning as anything else. To begin thinking like a Cabalist you must regard everything as being just as important as everything else. All that seems "accidental," "meaningless," "chaotic," "weird," "nonsensical;' et cetera is as significant as what seems lawful, orderly and comprehensible. The system of Cabala is contained in a kind of ontological periodic table of elements (see illustration). 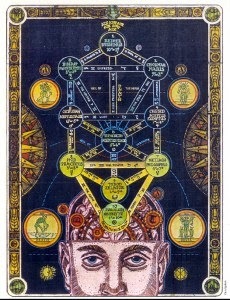 The purpose of this diagram has been nicely defined by the eminent contemporary Cabalist (and Jungian psychologist) Dr. Israel Regardie, who describes it as "a mnemonic system of psychology. . . to train the Will and Imagination." I recommend highly reading the whole piece. In some ways it's the essay on Qabala that I wish I could have produced. Much appreciation to Dedroidify for bringing this gem to light. What Wilson calls "an elementary Cabalistic training technique" comes from a Crowley exercise in one of the advanced grades of his system. This illustrates the open source code nature of Crowley's school and its nonlinear nature. I sometimes modify this to treating every incident as a communication between the School and my Soul. Remember, you don't have to believe in God, the School, or a Soul to make use of this metaphor and practice the exercise. At the very least you'll be enlarging your consciousness through looking at things in a new way. If the communication indicates or suggests some kind of action to be taken, then I will find ways to either verify or refute the communication often with an oracular device of some kind. Usually I won't take action until getting it verified two or three times unless it's something I planned to do anyway. However, the last resort in my decision making process involves listening to the intuition. I might think I received some sort of communication and have it verified but if it just doesn't feel like the right move, I'll reject or postpone that suggestion. Sometimes the message looks wrong or inappropriate. Sometimes, it seems, the School feeds you false information. Crowley uses the same technique in his writings. Sometimes you just have to wonder how much of it is a put on. The point seems to get people to think for themselves, to not rely upon an external authority to feed them all the answers and then blindly follow them. Gurdjieff also employed a form of guerrilla ontology though not so much in his writings. Timothy Leary employs fairly hefty doses of it in his autobiography, Flashbacks. Guerilla ontology appears an often used technique for raising consciousness in this lineage under discussion. As one acquires refinement and intimacy with the Knowledge and Conversation of the Holy Guardian Angel it may be found that the Angel isn't above a little bullshitting itself all in the name of raising consciousness. The Angel serves as a Guide and sometimes it may guide by playing tricks. Ecce exeplum: In days of yore, as the soundman and roadie for a band called The Tickets, I had just finished setting up the PA for a club performance in Toronto. This was at the end of a long tour and I felt a mild alteration of consciouness and spaciness from being on the road for an extended period of time. I grabbed a beer to relax before the show and sat down at one of the tables. A nearby patron struck up a conversation. He had the appearance of a heavy metal/biker type. I noticed occult symbols on his black T-shirt including 666 but didn't pay it any mind figuring it was just part of the look. Didn't really engage in the conversation but noticed that it drifted into occult subjects. Everything he was saying made sense but nothing I hadn't heard before. Then he began talking about bilocation, the phenomena of someone apparently being in two different locations at the same time. He suggested that at one of the locations, the subject existed as a phantom projection. Again, I wasn't paying close attention. I was tired and this sounded quite abstract. Then he faced me directly in the eye for the first time, gave a very peculiar look and said, "for instance, I might not really be here right now" and laughed quite loudly. It profoundly shocked and woke me up. The familiar sense and comfort of consensual reality completely collapsed and my brain felt like it was spinning in some vast chasm of space that had opened up. It seemed both unnerving and invigorating at the same time. I can't think of anything else that could have produced the same effect. While researching for this series I came across a new book by David Shoemaker called Living Thelema, A Practical Guide to Attainment in Aleister Crowley's System of Magick which I recommend to the serious student looking for practical ways to get started or for different ways of carrying on. Shoemaker also works as a Jungian therapist and brings that perspective to the book giving it added dimension. Many similarities and congruencies appear between Jung's approach and Crowley's, a subject for another time. They seem mutually reciprocal systems, each giving insight into the other. Living Thelema does assume the reader has some knowledge of Crowley's writings. The Equinox ( A Review of Scientific Illuminism), of course, is the name of Crowley's main series of writings starting with the biannual periodical, Volume I, he issued from 1909 -1914. Basically, his School in book form. 666 was the number Crowley most identified himself with. In court, he testified that it was 6, a number of the Sun (via Tiphareth) repeated three times, so they could just call him Sonny. The book is called Bleeding Edge (B.E.) and the lead character is Maxine Tarnow, a most delightful name. Her father's name is Horst which recalls Horus, Crowley's god of the new Aeon, and "t" which in Hebrew = tau = cross, bringing up the rosy cross by association. Hors + t, the only letter missing is "u". It should be said that Pynchon makes a great deal of pop cultural references, mentioning, for instance, Britney Spears and her song Oops, I Did It Again not long after Crowley. Though I'm only at the start of chapter 11, p.112, I haven't seen any more Crowley references nor do I see an overtly Thelemic form to the book. That's one element of many in his alchemical stew. I also enjoy the fact that he puts a great deal of music into his mix. Pynchon's book, Against the Day has quite a lot of qabala and occult allegories. I'll be talking about it more later when the subject of Crossing the Abyss comes around on the guitar, but for now I bring it up because in it, Pynchon basically teaches one how to read the qabalistic puns and metaphors by taking the reader through various levels of difficulty from the blatantly obvious - talking directly about qabala and gematria - to the subtle and obscure. Most of the time, to read the qabala in the other usual suspects, ie Crowley, Wilson, and Joyce, one needs a fairly comprehensive knowledge of the system. Pynchon prods the reader into looking for new levels. Chance operations and random selectivity interpreted within a reliable oracular system describes a time tested method for receiving communication from Higher Intelligence. John Cage used the I Ching to compose music. You can use oracles like the I Ching or Tarot cards or a number of things to communicate with your HGA, tap into your intuition, access the intelligence of the subconscious mind, however you wish to look at it. You can devise your own methods of chance operations. Lon Milo Duquette has one that uses a TV and a remote control to come up with a reading in his Book of Ordinary Oracles. A favorite oracle of mine, bibliomancy, in the strictest definition means asking a question before opening up the Bible at random and letting your eyes naturally fall where they may.. This technique works with any book that has a comprehensive generalized symbol system that reads within one's lexicon. Earlier in these chronicles I mentioned getting a reading from randomly opening the Collected Works of Carl Jung regarding the death/rebirth archetype which gave a valuable formula for significant brain change. That oracular reception showed great success, but not all make it as far or anywhere close. Sometimes they read like gibberish or seem inchoately obscure. Intuitive discernment about what to accept, reject, or select in between gets finely honed over time. Any artist tapping into their muse or looking for an inspired source will tell you that it's not always home. Timothy Leary said that if he only got one out of three philosophical predictions right then he'd feel like he was doing well. He compared himself to a baseball player who has a batting average of .333 considered extremely good. So if useful info derives from only one out of three oracular consultations you're doing quite well from that perspective. Usually the percentage grows higher especially if using a well structured system like the I Ching or the Tarot. It increases with time and experience. I've worked extensively with those oracles, they both serve very well in different ways. Sometimes the answers astonish. Sometimes they shock. Sometimes they bewilder. Sometimes they mock. The I Ching encapsulates the ancient wisdom of the East while the Tarot contains the wisdom found in the West. One of Crowley's main innovations concerned introducing Eastern philosophies and practices into the Western Hermetic canon. He even connects some of the I Ching hexagrams with the Court cards in the Tarot. Though I've found the I Ching extremely helpful at times, the Tarot has become ( it didn't start out that way) for me a direct pipeline to the HGA. The cards seem a natural for this kind of communication mainly because they steep and simmer with qabalistic correspondences. Looking at the Tarot on a consistently repeated basis makes a great, artfully enriching way of learning these associations. Every tarot card corresponds somewhere on the Tree of Life. They carry astrological, planetary, elemental information, and more. The trump cards seem like a library of archetypes and teaching stories from the common basis behind comparative mythologies and religions. Though useful to do full Tarot spreads - I use the Celtic Cross slightly modified, a one card tarot draw can be effective and much faster. Concentrate on a question, shuffle the cards and draw one. If it makes no sense, do it again. I'll often do a series of 2 - 4 one card draws to get a general read. If it's contradictory or confusing, then I'll do a full spread if time permits. If you do a lot of one card draws consistently every day and look up their interpretations and correspondences, you'll pick this up pretty fast as well as learning lots of qabala along the way. You'll begin to tune in to the oracular voice of the tarot, one of the transmitters of the HGA. Learning the Tarot is the single most effective and practical way I know for initiating Conversation with the HGA because you can just out and out ask it a question and get an answer in its own Angelic language. A tarot card will give an answer in the Angel's imagery - incidentally one of the best ways to interpret the cards is just to simply look at their picture. There will be intellectual content if you look at the qabalistic connnections. Also, you'll often pick up a feeling or sensation of some kind. The cards can function as an intuitive catalyst. Asking questions about the future or about things you don't know can act as one way to verify or refute communication from the HGA. The cards tell you one thing, which of course you remember or write down, then later you find out what actually happened. I was recording what was supposed to be a breakthrough album for a rising star. I wanted to mix it and knew that I was in the running. The cards indicated disappointment about two months before the decision was to be made. I didn't mix it, they used more commercially famous, name brand engineers. The album didn't achieve the hoped for success. I doubt that had to do with the mixes, but in retrospect, I'm glad not to have mixed it. No failed expectations to answer for. In my experience, the more you use an oracular system the more accurate it becomes. You develop a relationship with it. You can start to tell when it's on or when it's off, when it's joking around or when it's giving a dire warning, etc. etc. It takes on the quality of an exchange with a dynamic, external living Intelligence of some vast and active kind. Learning the Tarot will significantly aid penetration into Crowley's writings and cosmology. His book on the Tarot, The Book of Thoth remains a classic in the field; one of the last books he wrote. It's been said, and I agree, that he knew he would die soon so he put everything he had into it. It's also been discovered that if you read it again in six months, it will appear to be a different book because you'll be noticing much more. In fact, this seems to happen upon every reading. Several of Crowley's visions in the book The Vision and the Voice, his exploration of Enochian worlds, are extensive guided tours through different Tarot trump cards. Some of the cards make excellent meditational focal points. They become doorways into parallel alternate Universes. For instance, the six of Swords in the Thoth deck has a beautiful painting of a rosy cross. The Tarot can perform spiritual diagnosis. It will deliver progress reports from the Angel if asked. Working magically and mystically, alchemically and shamanically means riding into and penetrating the frontiers of the Unknown. To say it less poetically, this kind of work, or Work, occurs in areas that seem largely unknown to ordinary consciousness. We really don't know what effect we're having, if any, with our ritual work, meditations and prayers except what we directly sense, feel and intuit, though never really, absolutely sure, except when you are. One of the properties or premises of the Angel is that it has full knowledge and vision in those realms. It, after all, exists as your most trusted Guide and the sense that it's always there becomes more evident as contact increases. So you can ask the Tarot, your communication conduit with the HGA, " how was my work with the ritual I just did," " how was it in the floatation tank," " how was it driving home from the studio today," "describe the result of Liber Resh performed just now," etc. etc. etc. and get a progress, or lack thereof report. Sometimes you won't like the answer but other times you'll get surprised by a favorable outcome when it seemed nothing really happened. 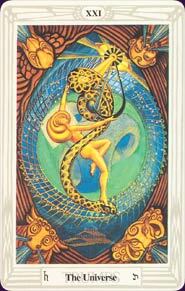 I use the Thoth tarot almost exclusively these days. I love the artistry, the vivid colors, the projective geometry of the drawing and the rich Thelemic imagery. It's not a bad idea to use and get familiar with other decks. I've received valuable lessons from the Rider Waite deck, and even once got something interesting out of the very New Age Osho deck. Recently purchased Lon Milo Duquettes Tarot of Ceremonial Magick deck so I'll be looking into that soon. I attended an excellent talk on the Tarot from him once, he was the one that mentioned The Book of Thoth reading as a different book 6 months after the first time. Useful information regarding timing can come through in a Tarot reading. Timing can seem critical when experimenting more intensely. When you get far out there, encounters with all kinds of various energies seem more likely to pop up on the radar. You don't want to take off in a hurricane or run into one enroute, if possible. I strongly suspect astrological considerations play a significant role in deducing good timing but have never had a strong enough interest in it to fix my attention on learning it in depth, therefore I don't follow what sign we're in or even phases of the moon except by looking at the sky. However, every day of the year corresponds with a small Tarot card, every astrological position represented by them. I perhaps imagine that this allows for the possibility of a reading of the astrological condition for any appointed time. Don't know if this holds true, but I do get a good astral, or bardo weather report from looking at the cards. Understanding Aleister Crowley's Thoth Tarot by Lon Milo Duquette. Reading Crowley's The Book of Thoth immediately afterwards works good. Chapter 78 from The Book of Lies goes with this post. You'll also find it on the first page of The Book of Thoth. It is spoken of the Sephiroth, and the Paths, of Spirits and Conjurations; of Gods, Spheres, Planes, and many other things which may or may not exist. It is immaterial whether they exist or not. By doing certain things certain results follow; students are most earnestly warned against attributing objective reality or philosophic validity to any of them. We left off with 3 suggestions for initiating conversation with Higher Intelligence - The Holy Guardian Angel: puns, coincidences, and qabala. All these we measure against a growing intuitive voice. We balance interpretations from research and experiments with skepticism and discernment. Puns open minds to multiple levels of meaning, different ways of seeing things. Coincidences tend to make me pay attention to what's going on around me more, to become more receptive to the environment. They are like a bell that gets rung or a light that sparks up the attention. They wake you up a little bit more. Synchronicities sometimes indicate a confirmation for a particular course of action that has been taken. They communicate other valuable information as well. Strong synchronicities can feel like direct transmissions from the School. For example: Bob Dylan released a special collector's edition of his then new album, Love and Theft, on 9/11/01 that included an alternate version of The Times They Are A'Changing. The times certainly did change that day. Other lyrics from Love and Theft prophetically describe the events of that day as well. Even the common name for the World Trade Center attacks, 9/11, communicates vital information directly and succinctly with a very basic pun that everyone knows. Synchronicities appear to result from the non-local quantum circuit and also seems to play games with time. By that I mean that the acasual synchronized occurrence of two events may result from quantum processes manifesting into the human material world. People who experiment with the higher brain circuits tend to attract more synchronicities. Synchronicities serve as one method of conversing with the Angel. Incorporating Qabala into your worldview will increase and broaden the understanding of this kind of phenomena. Qabala also tends to increase the occurrence of synchs. It tunes you in to Higher Intelligence. Qabala gives a clear picture of the nature of the Holy Guardian Angel. Just knowing that the full realization of the HGA occurs in Tiphareth, the Grand Central Station on the Tree of Life, reveals much more than words ever can after one gets to know this sephiroth. Qabala means "to receive." Everyone receives different things. Everyone will have a different Tree of Life though there will likely be some common basis especially if one learns the Table of Correspondences in the book 777 and Other Qabalistic Writings of Aleister Crowley. This still reigns as the definitive qabalistic dictionary, in my opinion. Just owning a copy of this book will get the qabalistic wings a growin'. It even works through osmosis. You build your own lexicon of images, your own map of symbols, your own numerological meanings, etc. This lexicon seems to continuously evolve and get more refined mirroring an increased and more nuanced conversation with the Angel. A major doorway into qabala opened for me the first time I read Cosmic Trigger, The Final Secret of the Illuminatti by Robert Anton Wilson. You'll find numerous examples there of Wilson assembling a qabalistic lexicon leading to the reception of new information. From Cosmic Trigger, the number 23 became an early building block in this reporter's lexicon. Synchronicities with 23 appeared quite frequent for awhile. A number of readers of this 23 Conspiracy have had similar experiences. It's as if the Angel finally found a way to communicate and wants to make sure to let itself be known. Here's a related post: Bond 23. The opposite of a rigid skeptic is a true believer. I've observed people who believe in the 23 Conspiracy finding 23s in everything. There seems a significant difference from taking a quiet, receptive attitude to whatever random signals may communicate from the environment to projecting beliefs on the environment and finding confirmation there because you're looking for it. No doubt there will be instances of uncertainty as to whether it's a genuine communication, a product of the imagination, or some mixture of both. There exist ways to verify or refute your interpretations, but it's always a good idea to keep some measure of uncertainty in place remembering that you might be wrong. However you don't want this uncertainty to paralyze your progress or contribute to complacency. It's been said that every perception seems a gamble. Caveat emptor - let the buyer beware - the Great Work appears a gamble. the more certain it is that I only assert a limitation. The Book of Lies, along with 777 became another major building block in my lexicon. Each of these one page Zen koan-like chapters bears some correspondence to its chapter number. For instance, 48 in my lexicon sometimes indicates (when this interpretation applies) working hard and making what the 4th Way calls super efforts because of how it reads in that chapter. You don't have to base your lexicon of imagery on the Tree of Life or on Crowley's materials mentioned but if you do, then you'll be tapping into the same language that sometimes informs the writings of James Joyce (especially his experimental classics, Ulysses and Finnegans Wake), Robert Anton Wilson ( all his fiction, some of his non-fiction), Thomas Pynchon, and E.J. Gold among others. Those are some of the writers I know who use qabalah deliberately. One premise of occult functionality known to shamans, artists, musicians, magicians and mystics throughout the ages holds that Higher Intelligence can get channeled through any willing receptacle. It can land anywhere. The ancient Greeks spoke of connecting with their muse, that designation for personified (or godified) inspiration that's also the root for the word music. Working off this premise, it then becomes possible to discover qabalistically encoded information in any form of communication. Another example: In 1984, 3 days after moving in to the Sivananda Yoga Center in New York, I came home from school, flopped down on my bed and randomly opened a book of Allen Ginsberg's poetry to the line, O I am happy, O Swami Sivananda, a smile. I'd never heard of Swami Sivananda until I started taking yoga classes and found this coincidence surprising. The phrase, a smile, carries a certain significance in my qabalistic lexicon due to Timothy Leary's SMI2LE formula which has found some degree of exegesis in the Oz Mix archives if you wish to dig back there. I wondered at the time if this synchronicity might be some kind of extraordinary communication. I took it as a confirmation that moving to the Yoga Center indicated a good decision for my course, that it aligned to my largely unknown True Will. This confirmation got verified from the useful experiments that subsequently occurred in that place of residence. The proof of the pudding is in the eating of it. In the Book of the Law it says, Success is thy proof. The Marx Brothers film Animal Crackers has a wealth of qabalistic and magical information. Much of it is advanced, there are multiple levels and degrees of difficulty, but some of it appears quite obvious. For instance, the name of the socialite Mrs. Whitehead. White = Kether, Head = Sun = Tiphareth. The path that connects Tiphareth with Kether, called gimel (camel) goes across the terrain known as the Abyss (symbolized as a desert) and thus becomes one representation of the second spiritual landmark in Crowley's school, the Crossing of the Abyss. One one level, Animal Crackers tells metaphorical tales and allegories related to this adventure through the Abyss. In other contexts, Crossing the Abyss is known as navigating the bardo, and may be related to entering Chapel Perilous. And that's just one interpretation of Whitehead. Marx Brothers films, in general, are an integral part of my qabalistic lexicon. The constant use of puns, linguistic acrobats, and the unexpected seems to open the mind up to new information. Their humor seems like nutrition for the magician's developing awareness. They, and/or their writers appear to have a direct connection with the 93 Current much of the time. The 93 Current is another designation for Crowley's esoteric work, what I'm calling a new paradigm. 93 because Thelema = Will = 93 in Greek qabalah and Love = Agape = 93 also in Greek qabalah therefore 93 is a good number to symbolize love under will. If old films aren't your bag there are plenty of excellent newer ones containing the wisdom of the arts using the language of qabalah to communicate. Some examples: The Matrix series, American Beauty ( both the film AND the Grateful Dead album), The Fifth Element, The Adventures of Buckeroo Banzai, Big Trouble in Little China, The Meaning of Life, Beetlejuice, Rustler's Rhapsody, to name just a few. Learning qabalah, learning to speak with the Angel, can be quite fun when combined with a good movie. Pattern recognition plays an important role in deciphering communications from Higher Intelligence. This involves paying attention to the environment more carefully, noting any numbers, colors, phrases that recur more than usual or coincide in unexpected ways. Maybe you read something that coincidentally relates to some life activity. Recognizing patterns makes one very good reason for keeping a magical diary. There are other good reasons too which we'll look at another time. Developing competence in a good oracular system like the Tarot or the I Ching can make a bridge to the non-local quantum circuit home of the Holy Guardian Angel and thus establish another method for conversation. This will be the subject of the next post.